The Royal Family – is there anything they can’t do? It seems not. This prestigious group have grown to become one of the most famous families all around the world, and it looks as though the next generation is set to close the gap between the Royals and the rest of the world once and for all. There is one person who has gone down as the leader of the change: Kate Middleton. This star has grown to become one of the most loved members of the family for a whole host of reasons. As well as being relatable, it looks as though Kate has a few secrets up her sleeve; ones we can learn from. So why does Kate wear the same outfits, and why should we be giving it a go, too? It appears we might be in for a wardrobe overhaul. Kate Middleton joined the Royal Family on April 29, 2011, after she walked down the aisle with Prince William. 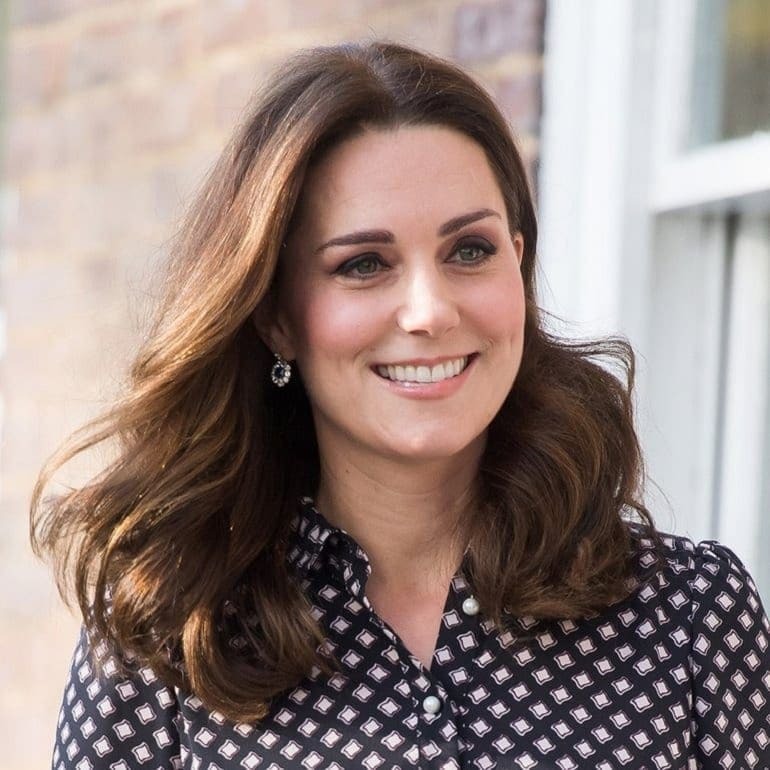 While many brides-to-be get a case of pre-wedding jitters, Kate had more reasons than many to feel as though all eyes were on her: they almost were. It’s reported that billions of people tuned in from all around the world to watch the royal wedding. Ever since, it seems as though the planet has been falling in love with Kate one day at a time. It almost feels as though Kate can do no wrong, especially when she shows us it’s okay to wear the same outfit on repeat. 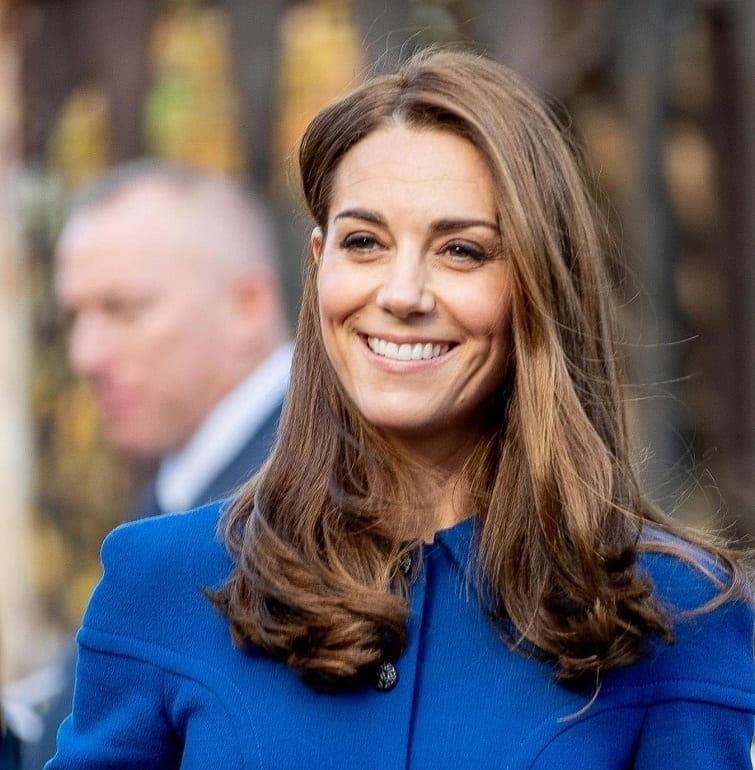 Over the years, Kate’s time in the spotlight means she has grown to become one of the most loved members of the Royal Family. The Duchess has appeared at many charity events, but that’s not all. Many body language experts believe Kate is often one of the most open members of the family when it comes to meeting strangers. To top it off, many fans think Kate is incredibly down to Earth. From the way she has been seen to raise her children to her style choices – it looks as though there is no end to her powers. After all, we can’t imagine it’s easy to raise three young children while being a member of the Royal Family. However, it seems as though there is one thing that has got many people talking over the years: Kate’s outfits. Although many look to the Duchess as a style icon, things might not have always been so smooth sailing. Many snaps have emerged over the years as Kate battles wardrobe malfunction after wardrobe malfunction. In fact, it turns out the wind hasn’t always been Kate’s friend. It’s reported that things became so heated amongst the Royal Family that Queen Elizabeth II stepped in to take control. It’s said the Royal enlisted the help of a stylist to whip Kate’s wardrobe back into shape. Thankfully, the Duchess now appears more stylish than ever. As Kate’s presence in the Royal Family has continued to grow, so has her time in the media’s spotlight. It wasn’t until her photo began to appear all around the world that people started to notice a pattern. 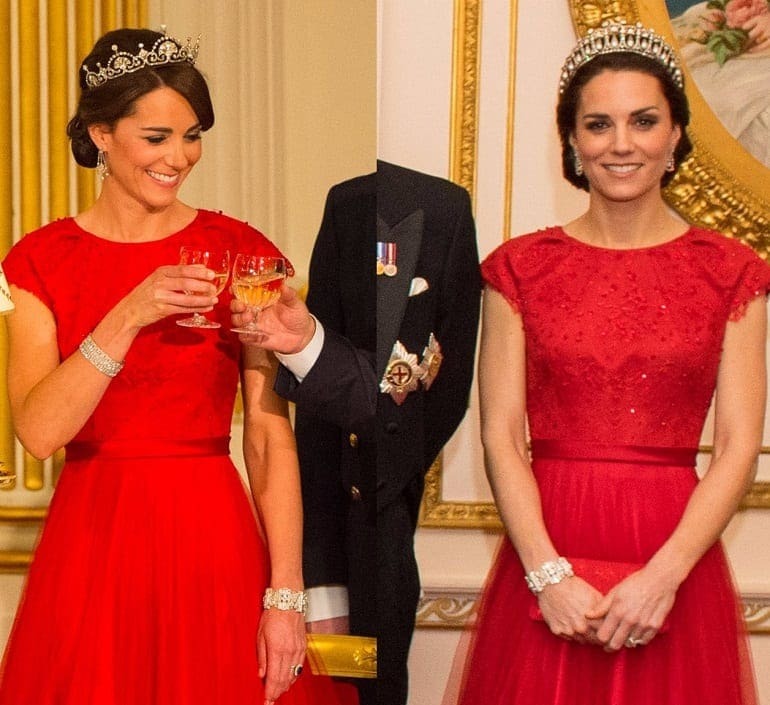 It looked as though Kate was wearing the same outfits over and over again. Surely being part of one of the most prestigious families in the world means the Duchess has access to some of the most sought-after designer labels? 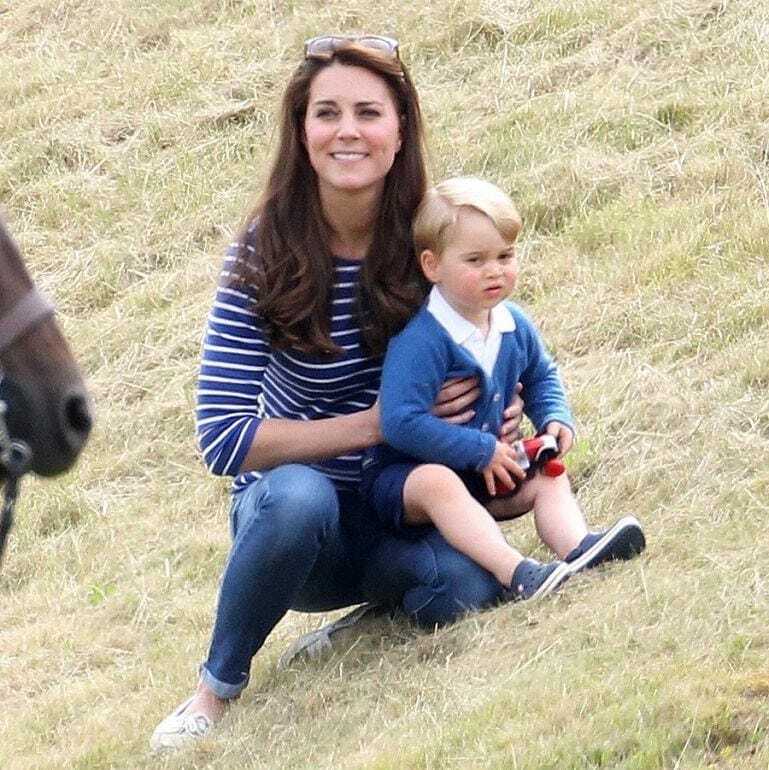 Sometimes Kate would wait years before she wore the same clothes again while other times it was mere weeks. However, it seemed as though there could be a good reason for their reappearance. It looks as though Kate’s go-to outfit is one that has hit the headlines time and time again. So what is that keeps the Duchess hooked? Nothing more than a striped long-sleeved top and a pair of jeans. Yes, it turns out that styling a royal really can be that simple. Kate has been spotted in her signature look at many points throughout her time in the limelight. From sporting events to magazine covers and just about everything in between – it appears there is no end to the outfit’s uses. Perhaps Kate is choosing comfort over designer threads? Either way, the Duchess still managed to look effortlessly stylish in this simple outfit. It seems as though many of us could benefit from taking some of Kate’s style inspiration. While we might not be dressing in the same looks, there are many benefits to repeating the same outfits. It’s thought that wearing the same threads is a surefire way to work a tried and tested look that you know is both practical and comfortable. Kate has also shown us how a few accessories can dress the look up or down no matter the occasion. It really can be that simple. Although Kate and William’s wedding was one of the most watched events on TV, it seemed as though they were going to have to make room for Meghan Markle and Prince Harry. The pair tied the knot in May 2018 and have since grown to become hugely popular all around the world. 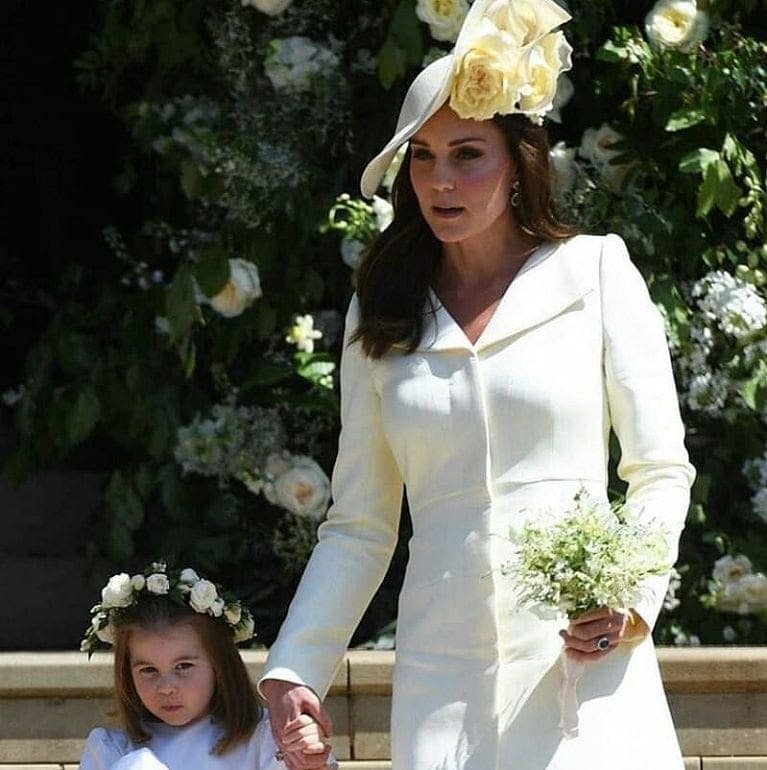 However, people couldn’t help but talk about Kate’s wedding outfit. It seemed familiar. Hadn’t we seen that coat before? Apparently not. It turned out it was the same design just in another color. This is a very important style lesson for anyone that has fallen desperately in love with an item of clothing in their closet. Sure, it might seem dull to wear the same look every day, but why does that matter if we’re comfortable and know we look good? The Duchess admits to buying the same version of clothes in a variety of colors. This way she can mix and match her outfits for the occasion in tested favorites while it looks as though she is wearing a new look altogether. That’s not all. There are many style trends that never seem to go out of fashion. There is a reason the little black dress comes out time and time again: it’s easy to style and simple to wear. This look certainly has earned itself a place in history, and now it seems as though some of Kate’s wardrobe is about to do just the same. The Duchess has spent many years learning what looks will be around for the long run and styles her wardrobe accordingly. Many people believe that Kate is trying to save money on her clothing bill, and they might not be wrong. After all, surely even the Duchess has to stick to a budget every now and then? The Royal Family might be at the top of the nation, but they aren’t made of money. However, it looks as though there could be more to Kate’s repeated outfits than anyone ever imagined. This isn’t just Kate trying to be as cheap as possible. 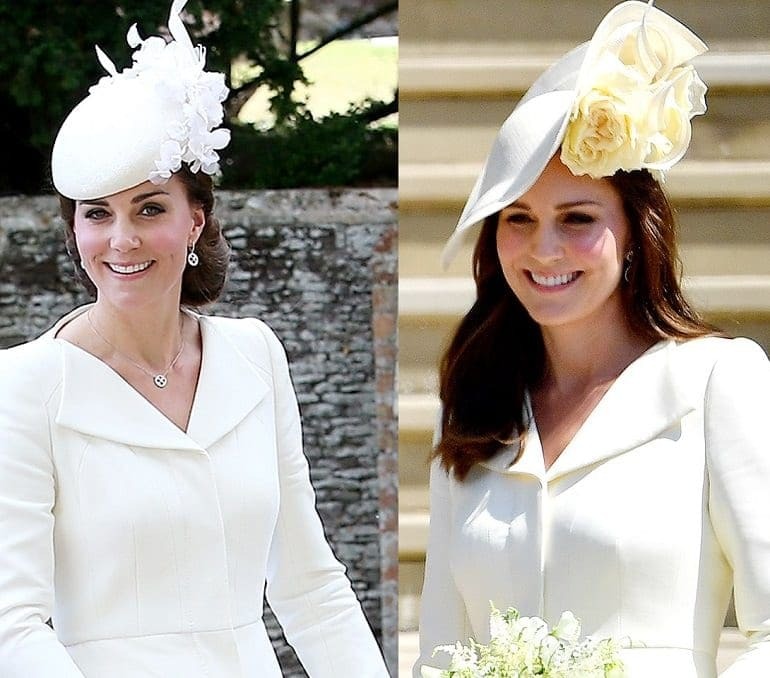 Many fans believe that Kate wearing the same outfits is her way of becoming more relatable. That’s right; this is supposedly just another way that the younger generation of Royals is working to bridge the gap between the family and the public. Kate and William’s spending habit have often been discussed in the media as the world tries to understand what they get for their money. However, it can be easy to see Kate’s clothing bill is less than most others in the family. It seems as though it doesn’t end there. It appears as though Kate wants to show the world that you don’t need to rely on designer threads to look your best. So what about if you splash your money on a top-dollar jacket or purse? Why waste your time hiding it away? That’s all the more reason to show it off to the world. Sometimes, all it takes are a few accessories and some different styling to turn the same outfits into many different looks and stay one step ahead of the fashion game. There are also several other benefits to wearing the same outfit over and over again. Have you ever found yourself staring into your closet with no idea what to wear? This can be a simple way to waste plenty of time each morning. If you want to save your precious time and energy, then why not grab the same look on repeat? This way you can choose a style and leave the house without the worry. Plus, you’ll have more time to focus on the rest of your life. Wearing similar clothes on repeat, or even opting for the same outfit, can also have other practical benefits. It turns out that all those matching clothes can also help to save space in the closet. Even Kate will have a limit to the amount of space she has in the wardrobe, and those tiaras have to go somewhere, right? Plus, it should now be easier to see what clothes lie in wait rather than making a surprise outfit discovery lost to the back of it all. What about if we told you that recycling your outfits meant that you had to less laundry? Now, that’s a reason to wear the same clothes if ever we heard one. Turning to the same threads means you will dirty fewer clothes throughout the week. As if that wasn’t enough, similar clothes will usually be the same color. Both of these mean you should have to do fewer loads of laundry, and find your routine is more straightforward if you can merely throw all the clothes into one wash. While many people praise Kate for rewearing her favorite looks, it appears as though not everyone is a fan. In fact, designer Vivienne Westwood reportedly stated how she feels Kate recycles her clothes too often. Thankfully, Kate’s fans seem to love it, but how soon is too soon to rock the same look? Many believe that seeing a new group of people means you can wear the same outfit twice in a row, while others say a variety of accessories means those looks can come out time and time again.